5 Reasons You'll LOVE Playing Barbie Dreamhouse Adventures | YAYOMG! Note: We received a complimentary review code with all features fully unlocked from Budge Studios in exchange for a fair and honest review of Barbie Dreamhouse Adventures. All opinions are our own; we were under no obligation to give a positive review. Barbie Dreamhouse Adventures is a new mobile game from Budge Studios that brings the Netflix series to life right in the palm of your hands. The game puts you in charge, letting you dream up the best adventures for Barbie and her friends, just as you would in a real dollhouse. 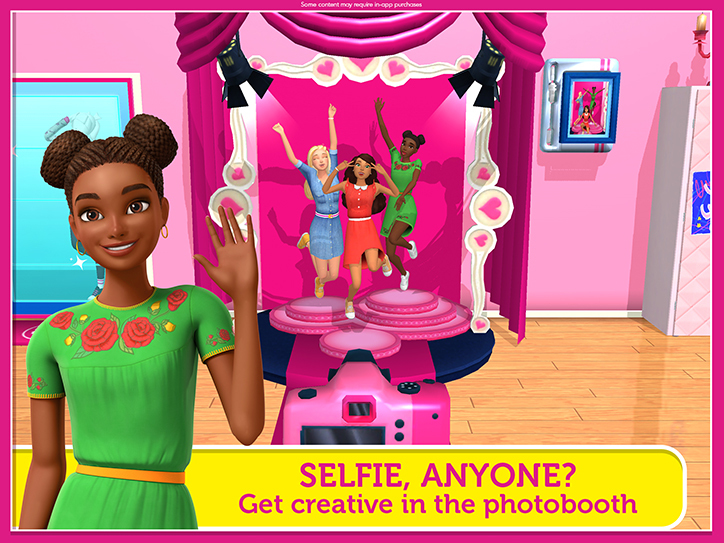 The game really captures the spirit of what Barbie and her friends are all about – having fun and dreaming big! Nearly every element and object is interactive and customizable, creating an experience where truly anything is possible. We’ve been fans of Budge Studios and their games for years. They’re always really high quality, super immersive experiences, but Barbie Dreamhouse Adventures is above and beyond anything they’ve ever done before. We were incredibly impressed with just how much you can do in this game, and we think you will be too. Here’s why we’re absolutely obsessed with Barbie Dreamhouse Adventures. When you first arrive at the Dreamhouse, you’ll be greeted by Barbie who is eager to welcome you into her fantastic home. You’ll start in the kitchen, but you can also visit the rooftop, the bedroom, and the living room. Each room is extremely spacious and overflowing with things to do, play with, and explore. While working on our review, we were blown away by how much there was to do in the kitchen alone that we nearly forgot there were three other rooms in the house to check out! You can open every single cabinet, use every kitchen utensil, browse through Barbie’s fridge, and even write on her chalkboard wall! It’s not just for show, though. Adding an exciting layer of depth – you’re not just looking at all this stuff, but you can interact with every single object. Grab a loaf of bread from the counter, slice it with a knife, and pull ingredients out of the fridge to create the sandwich of your dreams. 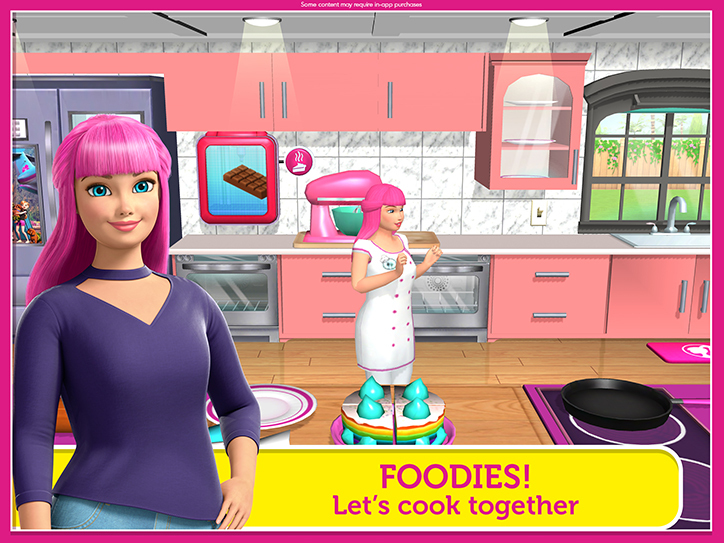 Use the frying pan to cook up a delicious dinner for Barbie and her friends to share at the dining room table. If you’re feeling adventurous, try out Skipper’s wild juice machine! When you run out of supplies, you can re-order more to keep the kitchen stocked with fresh choices. The fun doesn’t end at the kitchen, though. There’s just SO much to do. Head to the living room to pop some popcorn and cozy up on the couch in front of the fireplace with Barbie and her friends for a movie, featuring real clips from the Barbie Dreamhouse Adventures series. Scroll through Barbie’s fashion closet to find her perfect look and then head to the roof for an all-day party! You have free reign to do pretty much anything you can think up, it’s almost like a Barbie version of The Sims. 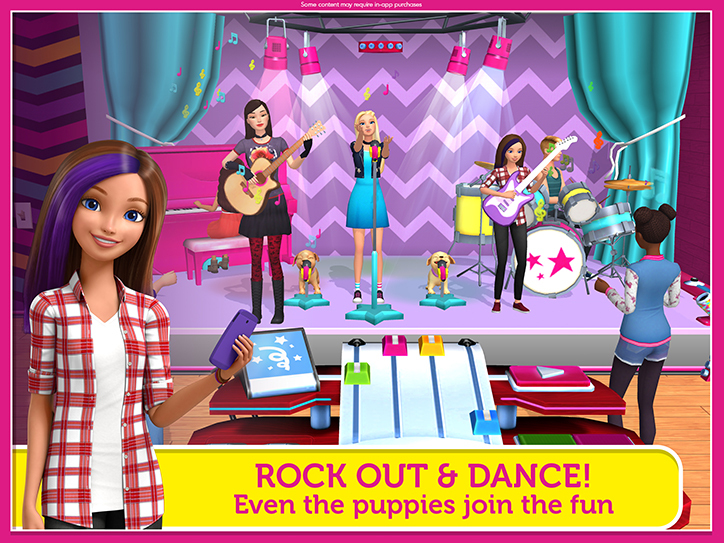 As you play, Barbie and her friends will make requests that you can help them out with. When a bubble appears above their head, fulfill their wish to earn heart balloons. For example, if you see Barbie asking to do yoga, drop her onto the yoga mats in her bedroom and watch as she performs a variety of yoga poses. With everything you do, you’ll earn heart balloons that fill up a heart meter. You can also find heart balloons hidden around the house, so be sure to take a peek in every possible place. Each time the meter fills up, you’ll unlock a gift! Tap the gift until the confetti pops and you’ll discover a new item or decoration that you can use to make the Dreamhouse even more amazing. You can unlock anything from wallpaper and color schemes to decorative or useful items to kick your experience up a notch. 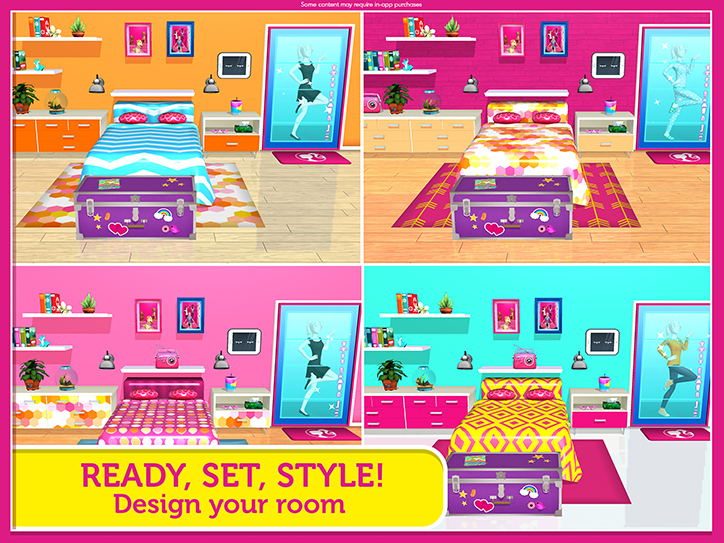 One of the most exciting parts of Barbie Dreamhouse Adventures is the customizability. Want polka-dot floors, yellow curtains, and floral print walls? In Barbie’s Dreamhouse, anything is possible! Tap the pencil in the bottom right corner to open up all your decoration possibilities and channel your inner interior designer. Decorate every room exactly the way you like it to reflect your personality and leave your mark on the Dreamhouse. You can redesign most items in the house, giving you the ability to make it completely your own. Surprises await around every corner! Turn the stairs into a ramp and slide your way into a ball pit! Be sure to tap on and interact with everything you possibly can to uncover lots of surprises, including hidden heart balloons! 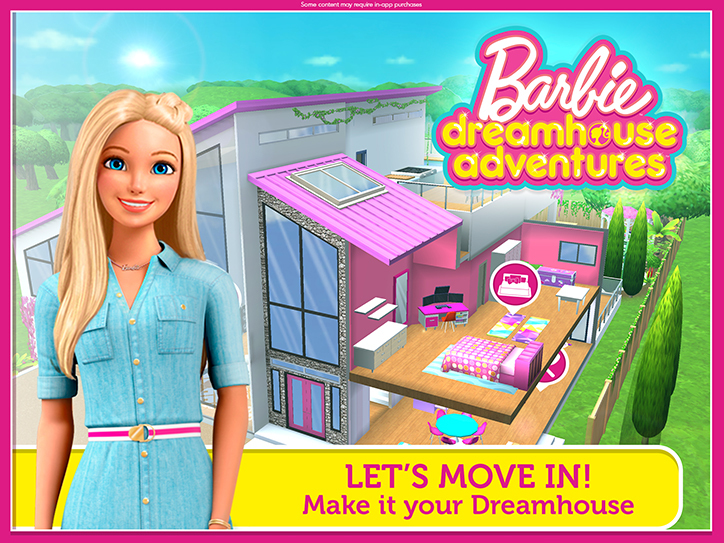 While you can totally have hours upon hours of fun playing with Barbie in the free version of the game, there are lots of exciting add-ons that you can unlock to bring your Dreamhouse to the next level. What’s a Dreamhouse without friends to share it with? In-app purchase packs allow you to unlock new characters including Ken, Skipper, Nikki, Daisy, Renee, and Teresa. You can even add in everyone’s puppies and buy lots of new fashion styles! There are new experiences to unlock as well. 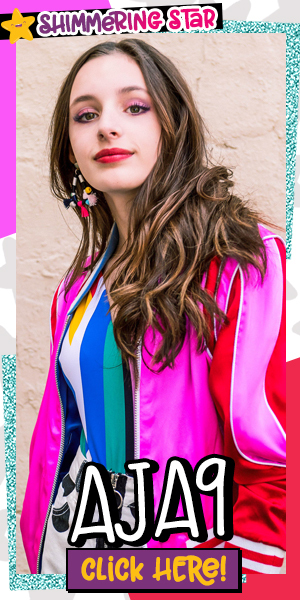 Throw one of Ken’s epic pool parties, step into Nikki’s fashion photo booth to take the perfect selfie, hit the dance floor with Daisy, or grab an instrument and rock out with Skipper and her band. 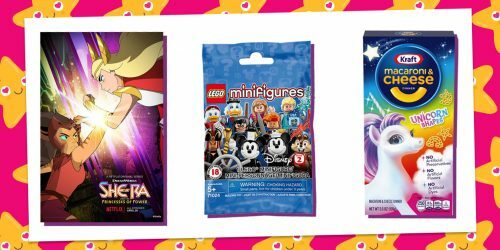 Each of these experience packs unlocks entirely new parts of the house, a ton of brand new ways to interact with the characters, and new gift possibilities! You can also unlock everything for $19.99, which gives you access to ALL of the characters, outfits, decorations, and activities as well as an exclusive dress and a precious kitty! 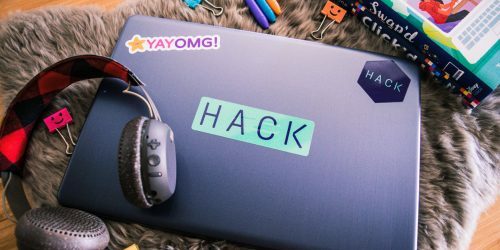 Budge Studios has always been pretty great about keeping their apps up to date with fresh new content, and it seems like they already have quite a bit in the works for Barbie’s Dreamhouse Adventures. As you make your way through the game, you can see that Barbie’s little sister Kelly and a bathroom are coming soon. 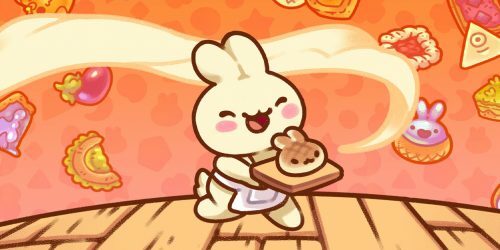 With an endless amount of ways to play, they’ll likely be adding fresh new content for a long time to come. Ready to check it out for yourself? Barbie’s Dreamhouse Adventures is now available for FREE on iOS and Android devices. As we mentioned the game does contain some in-app purchases. Be sure to ask your parents before unlocking any extras. If you love playing dress-up and channeling your inner fashionista like Barbie, we think you’ll love playing Style Savvy: Styling Star!